Discussion in 'Pop & Justice' started by londonrain, Jan 19, 2018. 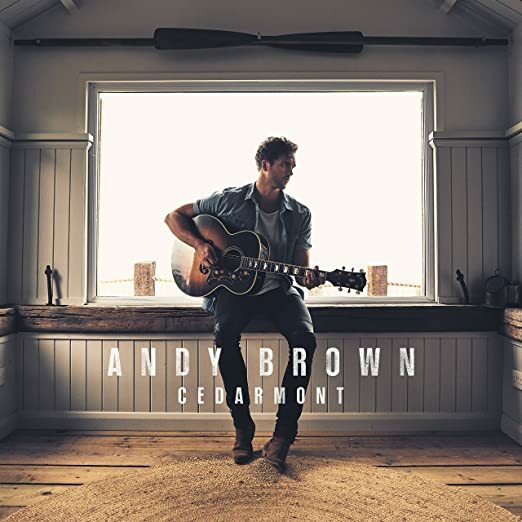 Andy Brown (the lead singer of the boyband Lawson and previously a member of Avenue) has announced a new album, Cedarmont. He says it's going to be a country record and will include the single "Landslide" (not the Fleetwood Mac song), which features Crissie Rhodes from the Shires and was released back in October. It sounds more pop-country than country to me, but okay. Chris Lala, phily693 and londonrain like this. I wonder what the marketing strategy is for this. Given the album is on Decca Records, I imagine they're looking to target album sales but aren't expecting a top 40 single out of it. The thing is I don't think Andy is recognisable enough that people will immediately realise from the name that he's the guy from Lawson, so he needs something like Radio 2 to really push the single if he's going to get any real sales out of it. Comparemyradio.com indicates that he's had precisely zero plays of Talk Of The Town in the last 30 days, which indicates Decca hasn't pushed Talk of the Town to any radio playlists at all. In that time Landslide has been played a grand total of twice. I hope he does well but it doesn't bode well. No one has a clue he's gone solo or even can probably even remember who Lawson were. I honestly wouldn't have known if it weren't for the Lawson thread on this forum. ...or maybe I'm just being really optimistic. In news that will surprise nobody, Andy is now touring as the support act for The Shires. He's also released two EPs - Country Sessions (Vol. 1) and Country Sessions (Vol. 2) - which largely seem to consist of country covers. The album is out this Friday. I feel like there's been zero buzz for this at all, though - even a Google search doesn't come up with any recent blog posts or press releases. I'm really not expecting this to bother the charts at all, which is sad because there's a real chance to capitalise on the success of the Shires here. Andy has been done so dirty by Decca. They cancelled the album last minute but some copies slipped through on Amazon, the fans managed to get it. After 4/12 songs released and CDs printed, I don't understand why they didn't just go ahead with it. At least a digital release so that it's on Spotify. He tweeted on the 3rd asking people to follow him on Spotify because there's a new single coming. Lay With Me came out in June, but that still doesn't have a video and hasn't been uploaded to his official YouTube channel yet. I assume Decca have concluded that there is really no public interest in this project at the moment and he needs some sort of push (such as Radio 2 support for the new single) for them to consider releasing it. This was handled so badly, with the right backing this could have been really successful for him. Isn't that the usual thing with cancelled albums? Record label starts kicking into the long grass, artist puts up a front that they want to make the album perfect hence the delay and then the whole thing quietly slips away. Saying that as someone said, in the digital age, what is there to stop a digital release happening? This topic comes up quite a lot when albums are binned, but cancelling albums is usually a way for labels to get out of contractual stuff such as paying for any marketing/promo that might have been agreed upon album release, and paying artists the second half of their advance (they'll get some on signing, and some on releasing). It's not quite as cheap and easy as throwing it on Spotify and hoping for the best. ...and so the Cedarmont saga continues, digitally. The fifth album track is out on Friday, probably self-released since Decca backed out. I'm guessing he has the rights to songs and the full album can follow. I'm also really feeling this pic. Why is this photo the best thing to come out of this entire era? Utopia, Red Coat and Thatter like this. According to iTunes its released under LTLA Music ? To be honest, he should of released this album as Lawson - i think it could of been a nice sound for them as their last album was all over the place. Well, it looks like Lawson are re-forming to perform Chapman Square in full for a one-off gig. I wonder if this means Cedarmont is properly dead in the water, or if Andy wants to use the money from the gig to help get it out. londonrain and jawow_ like this. This seems like such an odd decision. Why? That’s anticlimactic but I’m glad he was able to get the album out.